There is no doubt that the luxury restaurant scene is alive and thriving. We see evidence of that every day with more and more people joining Design Restaurants and enjoying great dining experiences in fabulous restaurants. We have added over 150 new restaurants to our guide in 2014 and there are now over 370 properties offering our members fantastic benefits. With so much choice we decided to make your lives a little easier by putting together our top 10 of the restaurants you simply must try next year! For those of you already fans of Atul Kochars unique cooking style then this is a must try. 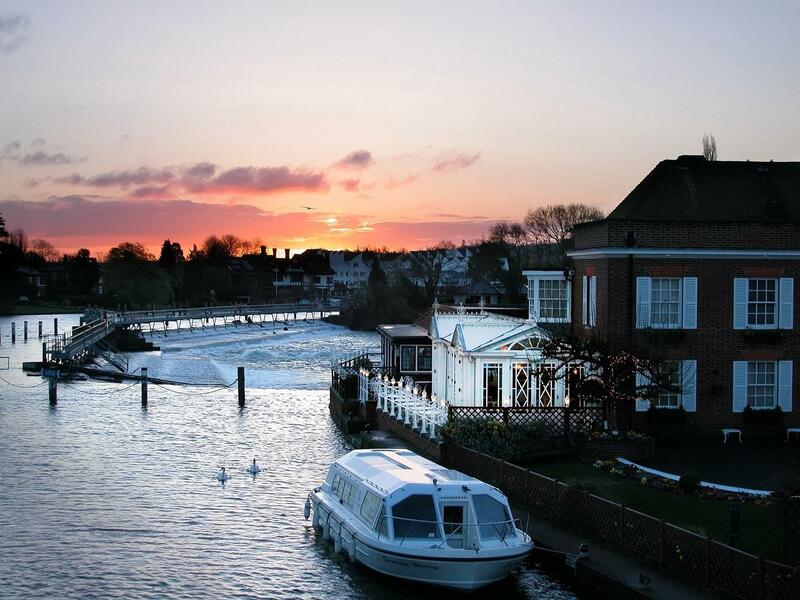 To be treated to this level of cuisine in the divine setting of The Compleat Angler is an experience not to be missed. For those not familiar with the Benares chef it is a great opportunity to try world-class food without having to travel into London. The menu is full of fabulously diverse flavoursome dishes, some familiar and others new but all with Atul Kochars clever flair. For more details of restaurant click here. For Club offer click below. Club Offer: Members and their guests receive a complimentary glass of champagne when having lunch or dinner Tuesday to Thursday. After an extensive refurbishment, Marcus Wareing’s new fresh approach to his eponymous two Michelin star restaurant exudes sophistication but has a much more relaxed atmosphere to the hallowed dining temple of its previous incarnation. The food has been hailed as ‘incredible’ and although a more casual dining experience is intended it retains its special occasion feel. The price also remains very fine dining but with our membership you will be treated to a tour of the kitchen which will surely make it an experience long remembered. For more details of restaurant click here. Club Offer: Members receive a complimentary glass of Champagne on arrival and kitchen tour to meet the team when dining from the A la Carte or Tasting menu for lunch Monday to Thursday. After years of working for other people – at The Ivy and for the Soho House group – chef Alan Bird now has his name above the door behind Smithfield Market. 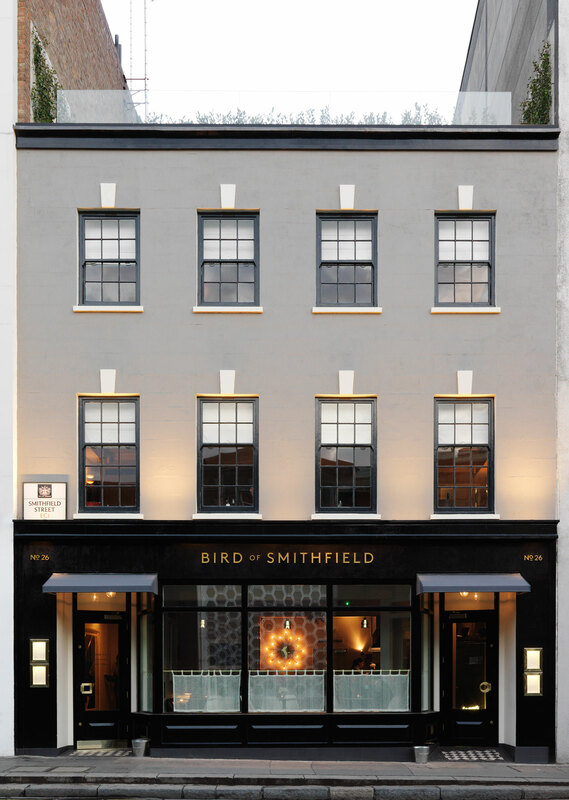 Two bars, a rooftop terrace, a private dining room and a restaurant, ranged across a Georgian townhouse which has the feel of a members club. 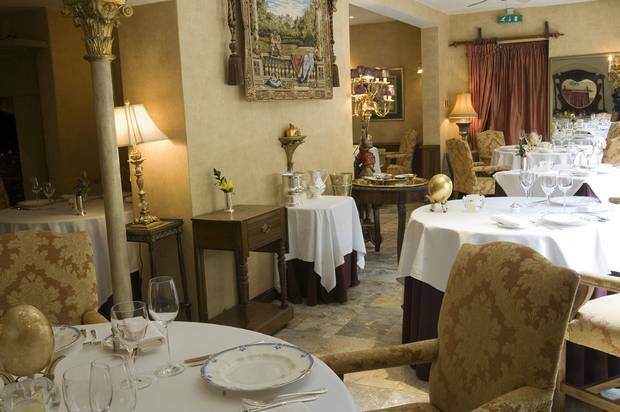 The restaurant’s menu is classically British; with both historical and contemporary influences. Despite a bit of a rocky start from some reviewers, The Restaurant is fast becoming a destination restaurant and will certainly give you the opportunity of experiencing food from a chef used to cooking for the biggest celebrity names to have ever graced The Ivy. For more details of restaurant click here. Club Offer: 15% off the total food bill with amuse bouche when taking Lunch Monday to Wednesday day and a Complimentary bottle of house wine or Prosecco is also available for dinner Monday to Wednesday and Saturday night. Chef/owner Colin got the attention of the British public when he first appeared on The Great British Menu in 2012. After beating out the regional competition to be in the finals on each of his three years featured, he secured dishes at the final banquet in both 2012 and 2014 with his Quail in the Woods starter and his Homage to the Dickin Medal dessert (2012 and 2014 respectively). His firm philosophy of farm to fork cookery has been fully realised with the Winteringham Fields farm now fully in operation. Winner of multiple awards, the restaurant also has 11 beautifully appointed rooms and suites. For more details of restaurant click here. Club Offer: Members receive a 25% reduction from the total food and drink bill when taking lunch and dinner Tuesday to Friday. 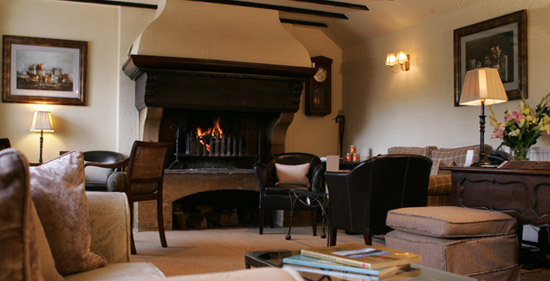 The Peat Inn has long been one of Scotland’s best but most discreet establishments, holders of a coveted Michelin star. That is until back in 2012 when the Prime Minister, David Cameron, and a large party of MP’s and other officials took over the entire place and it went down in history as the host of the ‘Peat Inn Summit’ – the place where the Scottish referendum strategy was agreed as a straight Yes or No choice. 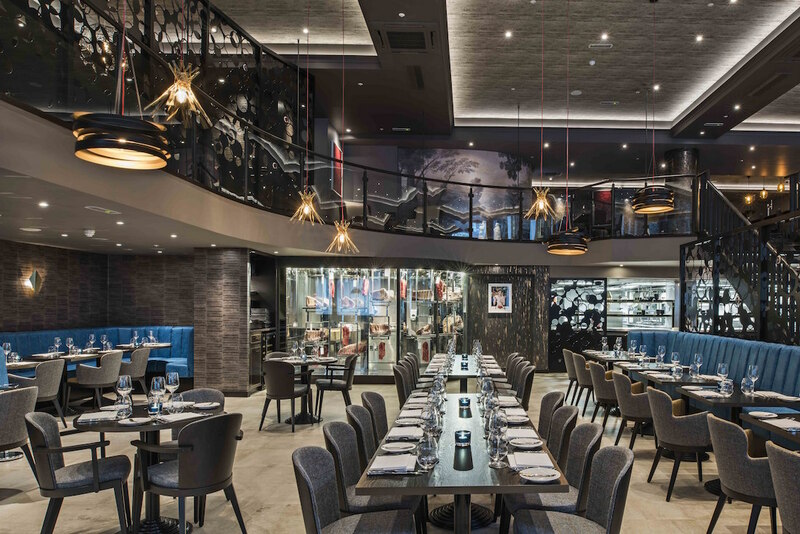 Renowned for its use of fresh Scottish produce and simple approach, it also has an exciting wine list of over 400 bins. For those wanting to capture the true essence of simple but luxurious country charm this must be on the list. 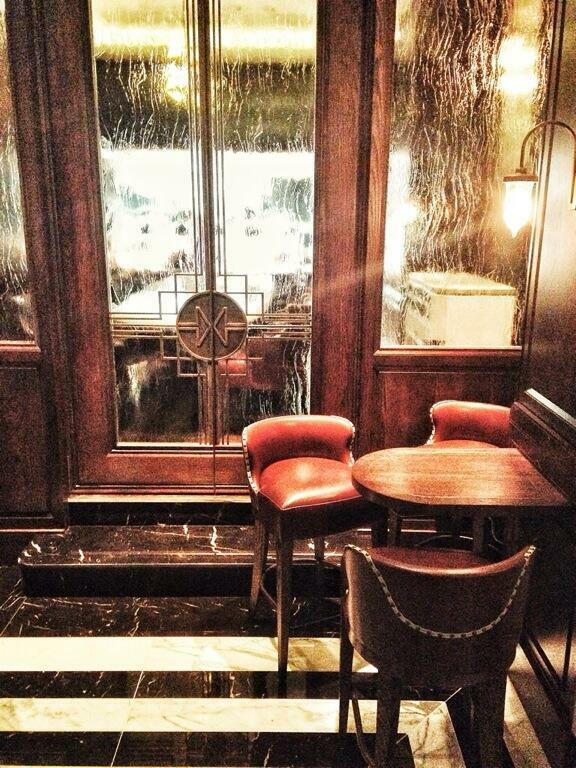 It is also being refurbished so now is the time to book for its re-opening in February 2015. For more details of restaurant click here. Club Offer: Members and their guests receive a glass of Champagne when taking lunch Tuesday to Friday and Dinner Tuesday to Thursday. A hearty welcome back to one of Design Restaurants’ favourite Chefs, John Campbell. 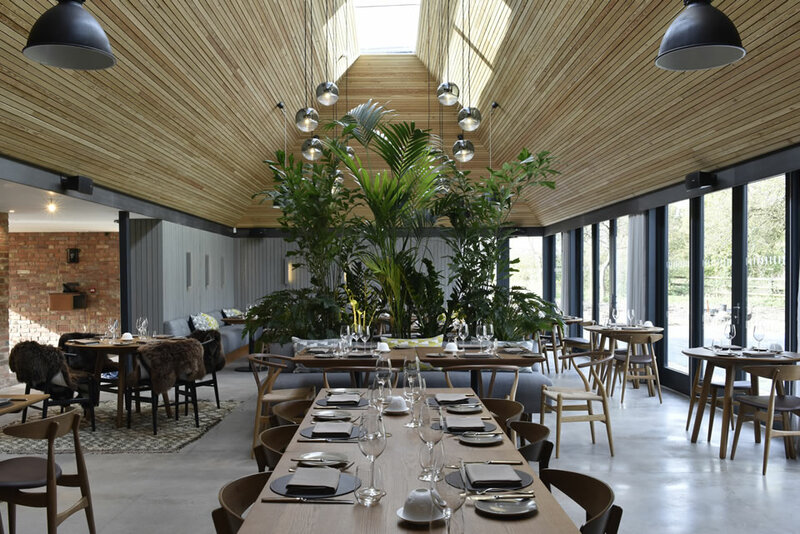 Having left the swish Vineyard at Stockcross with a solid 2 Michelin stars, John’s love of the Berkshire countryside set him searching for his own venture in the county and after a passionate search found the ideal spot – The Woodspeen. Converted from a draughty pub the charm of this total refurb and new build needs to be seen to be appreciated. The new, light, airy space extends back from the cosy pub front giving outstanding views from full frame windows and an open kitchen. The feel is inclusive – you will want to take friends back with you! The menu is simple and seasonal and all conducted with Johns deft hand – cooking the food he wants you to enjoy. For more details of restaurant click here. Club Offer: Still to be confirmed at time of going to press but watch the site for details – we think you may be getting Champers and even a Cookery school offer – ssh! I mean you simply have to try it once right?! 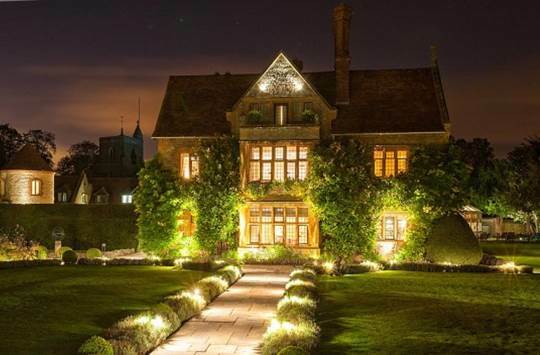 And we are thrilled to be shortly able to offer what is often called ‘Britain’s most expensive restaurant’ as a club property so now you have all the excuse you need to visit celebrated chef Raymond Blanc’s original and intimate restaurant and hotel. Famed the world over with one of the first recognised genuine restaurant kitchen gardens this is French cooking at its best but in the finest English setting. Holding two Michelin stars for craftmanship renowned the world over give yourself a big treat and try it. If it can win over Jay Rayner its worth the financial risk! For more details of restaurant click here. Club offer: Still to be confirmed at time of going to press but details will be released in January – it’ll be worth the wait! Returning to London for this latest club inclusion we are delighted to now be able to offer our members benefits at the entire Salt Yard Group. The first of Simon Mullins and Sanja Morris venues is in Fitzrovia and serves modern tapas inspired by the flavours of both Spain and Italy. 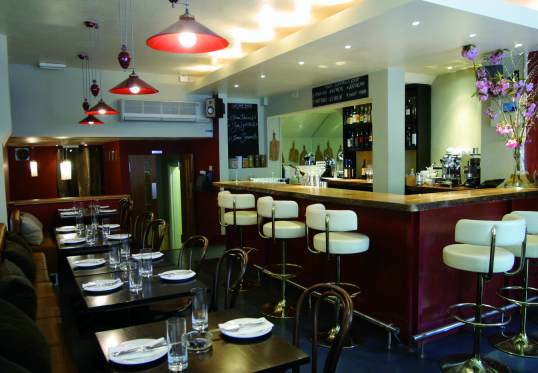 For more casual dining but with an excellent wine list the tapas are complimented with charcuterie and cheese boards. For more details of restaurant click here. Club offer: Members and their guests receive a complimentary cocktail from the menu when dining for lunch or dinner all week. Situated on the iconic Threadneedle Street, home of the Bank of England, M is an innovative 15,000 square foot space. From the moment you enter M, you will be struck by the sheer scale of the venue and the unique vibrant design. Playful yet luxurious, M is a happy union of energy and fun with an undertone of sophistication. RAW features a Tartare and Triadito bar, a casual dining concept featuring brightly coloured seating, sharing tables and high stools. Serving up a mouthwatering selection of tartares, sashimi, pulsing salads and cured and smoked dishes and yakitori this is exactly what you need to start your new year detox! For more details of restaurant click here. Club offer: Members and their guests receive a complimentary glass of Veuve Cliquot Champagne when having lunch or dinner Monday to Saturday. There are those of us that hold the beauty and ambience of a restaurant in equal priority as the cuisine, and if this is you then your must try of 2015 has to be the incredibly elegant Spring. 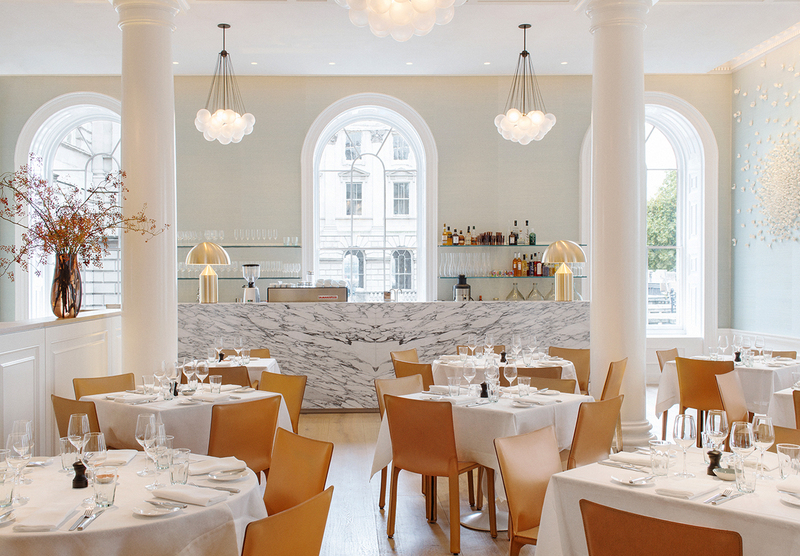 From celebrated chef Skye Gygnell, Spring brings warmth and elegance within a beautiful dining space set in the New Wing of the iconic Somerset House, in the arts and cultural heart of London. Loved by the critics, Spring food is celebrated for its conviviality and the joyfulness of sharing seasonal produce. The cooking is heartfelt, wholesome, produce driven, and cooked by a team of people who are passionate about what they do. For more details of restaurant click here. There is currently no club offer for this property. Fancy trying out a membership? Go to JOIN FOR £30 and download a digital 12 month membership for just £30! Start using your card today! Previous articleMiscellaneousWhich Christmas Movie to Watch on Christmas Day?